On the 27 June 1973 the QARANC, RAMC and RADC were given the Freedom of the Borough of Aldershot, the home of the British Army. The event was marked with a ceremony at the Aldershot Recreation Ground and a parade through the town. Number 1 Company: Royal Army Medical Corps Training Centre. Number 2 Company: 23 Para Field Ambulance. Number 3 Company: Royal Army Dental Corps Training Centre. Number 4 Company: The Queen Alexandra's Royal Army Nursing Corps members from the QARANC Training Centre (QATC), the Cambridge Military Hospital and the Louise Margaret Maternity Hospital. 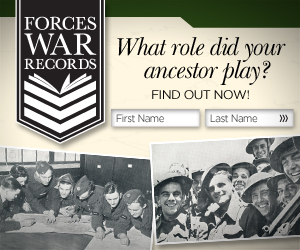 The commander of the QA Company was Major Margaret Stephenson and the Regimental Sergeant Major was RSM WOI Hayes. Number 5 Company: Apprentices led by Major Sear. They were followed by four casket bearer guards who represented each Corps and The Casket Bearer, Lieutenant David Bench. On the Dias were dignitaries which included the Director General Army Medical Services (DGAMS) Lt Gen Baird, the Mayor of Aldershot, Councillor James, Lady Baird, the Town Clerk Mrs James and the Colonel Commandants of each Corps. A general salute was received and then the parade was reviewed by the DGAMS. The presentation of the Scroll bestowing the Freedom of Aldershot came next and the text was read out by the Town Clerk. 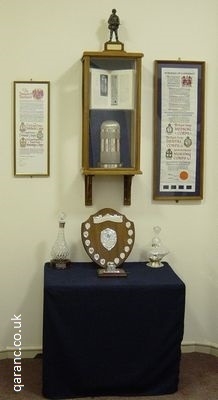 As you can see from the photograph above, kindly provided by Terry Hissey, it contains the badges of the three Corps and the Seal of the Borough. It is inscribed on vellum made from calfskin and was produced by Mr Derek Benney, a member of the Society of Scribes and Illuminators. During marches through Aldershot the Scroll would be contained in the special Casket pictured below which is engraved with all three Corps badges and the arms of Aldershot Borough. It was designed and made by Mr Gerald Benney Des. RCA who was a foremost silver designer. Photo courtesy of Terry Hissey. After the Scroll had been read out the Mayor talked about the work of the Army Medical Services in the area and why this high honour was being bestowed. During this he praised the work of the staff at the Cambridge Military Hospital and the Louise Margaret Maternity Hospital. He also read out a telegram from Queen Elizabeth the Queen Mother who was the Colonel in Chief of the RAMC and one from Princess Margaret the Colonel In Chief of the QA's. The oath was then taken by Lt Gen Sir James Baird the Director General Army Medical Services (DGAMS) on behalf of the Army Medical Services (AMS) and he then signed the roll of Honorary Freeman and accepted the Scroll and Casket. His acceptance speech included the fact that this was the 75thanniversary of the RAMC. The Casket Bearer, Lieutenant David Bench, and his guards moved forward and were presented with the Scroll from the Director General that conveyed the Freedom and this was placed in the silver Casket and trooped through the parade in slow time with the Casket Guard whilst the band played Greensleeves. An Advance in Review Order was executed followed by a General Salute and then the National Anthem. The Dignitaries then made their way to the Saluting Base by Princess Hall. The new Freemen and the band marched through to the town centre where they were warmly welcomed by spectators. The Casket Party mounted the Scroll and Casket on a land rover which was slowly driven in the centre of the parade. The last tune to be played during the Freedom of Aldershot parade March Past was Grey and Scarlet (cited in the book Queen Alexandra's Royal Army Nursing Corps (Famous Regts. S) by Juliet Piggott). The book Sub Cruce Candida: A Celebration of One Hundred Years of Army Nursing has a photo of the parade. This was the first occasion that QA's had marched through Aldershot. Following the parade there was a civic lunch at Princess Hall where the AMS gave gifts of a silver statuette of a First World War soldier carrying a wounded comrade on his back to the Borough of Aldershot, through the Mayor. The original having been at Millbank and was identical to one gifted to Her Majesty Queen Elizabeth the Queen Mother when she opened the Queen Elizabeth Military Hospital in Woolwich. She had given permission for a copy being produced. Sadly the civic honour lapsed a year later with the formation of the Borough of Rushmoor through the merger of the Boroughs of Aldershot and Farnborough. This was the first time such an honour was conferred upon the Corps. The Freedom can only be re-conferred by the successor authority, which it did eight years later in 1981 when the QAs were awarded the Freedom of Rushmoor. The Casket and Scroll are on display at 22 Field Hospital. Image courtesy of Terry Hissey.